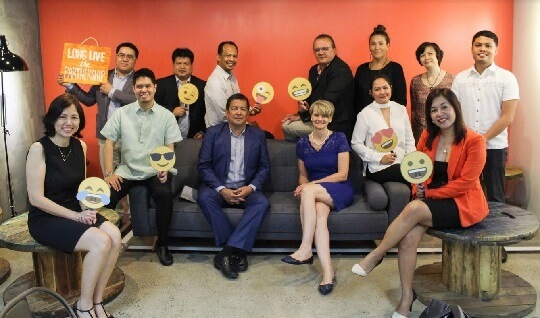 With all smiles, ePLDT subsidiary ABM Global Solutions, Inc. (AGS) and SpesNet Philtrade forged partnership to bring Evolve Hospital - a Hospital Information and Management System that delivers insightful information to healthcare providers. Running on SAP Business One, this new cutting-edge technology solution incorporates various processes like patient administration, bed management, and billing. The solution is also said to provide patients with a streamlined experience and minimize waiting time. AGS and SpesNet expect Evolve Hospital to help healthcare providers in making data-driven decisions that will impact not only the business, but more importantly, patient care. The solution is also likely to meet the international standards of the health care industry. Meanwhile, SAP Business One admitted that one of the top challenges faced by healthcare providers in the region is coping with the growing demand of patient care while being able to manage resources effectively. “With SAP Business One, public and private healthcare providers are empowered to automate key processes within their organizations, and therefore enabling them to deliver better services to patients,” Roy Wakim, Head of SAP Business One, SAP Southeast Asia, said. SpesNet International President and CEO Sanet Kock was also present to support the announcement of its strategic partnership with AGS. “We are humbled with the privilege to partner with AGS, and have the opportunity of two great organizations to contribute to the sustainability of the healthcare ecosystem in the Philippines, and very importantly, the quality of care for patients,” Kock said. SpesNet’s Evolve Hospital is available exclusively through AGS.